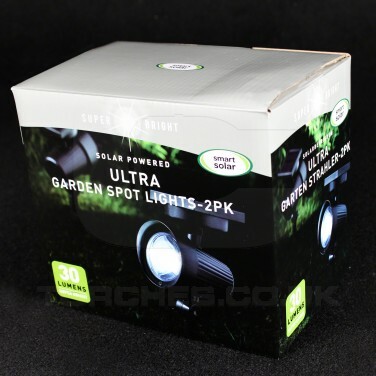 Noticeably brighter than standard solar powered spotlights, solar ultra 30 lumen spotlights are lit by ultra bright LEDs for an all round brighter glow. 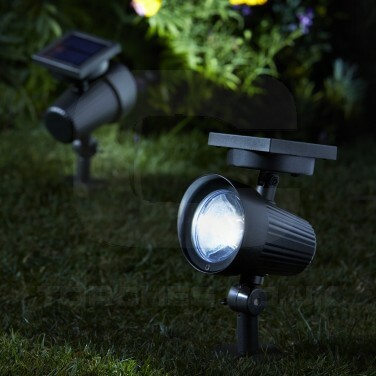 Each spotlight has an integral solar panel so there's no trailing wires which means that these super bright utility lights can be displayed along borders, driveways, pathways and patios to light garden features at night. Place where they will receive maximum exposure to light and these solar lights will charge throughout the day before automatically switching on when they sense darkness to give up to six hours of illumination night after night.